Former Sonic Team head honcho Yuji Naka is a Dreamcast fanboy. And he was very much against Sega's decision to bail on the hardware business, to kill off the Dreamcast, he says in a new interview. Naka, now at Sega funded start up Prope, tells Kikizo "until the very final moments, I was really against Sega leaving the hardware business." Partially because Sonic Team was on the cusp of releasing the original Phantasy Star Online, but also because he felt the Dreamcast's networking capabilities was something Sega should further exploit. "In a way I feel that, had that decision not been made, Sega would have gone bankrupt - so maybe it was a good business decision," Naka explains "But at the same time, I also feel like, what the hell - we should have given it a go, and we should have taken that risk." Sadly, many of recall what went down. Sega dumped the Dreamcast. 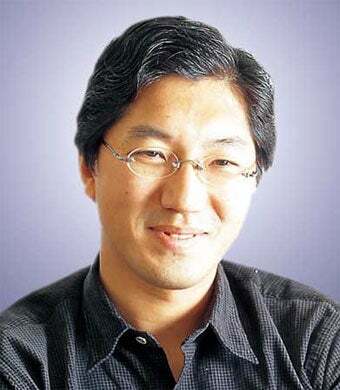 Yuji Naka dumped Sega to form Prope and develop titles like Let's Tap. And we get a little teary every time we turn on the best console Sega ever produced. Naka also tells Kikizo that Prope's corporate color scheme — as well as the founder's tie and socks — was directly lifted from the Dreamcast's palette. Fanboy!